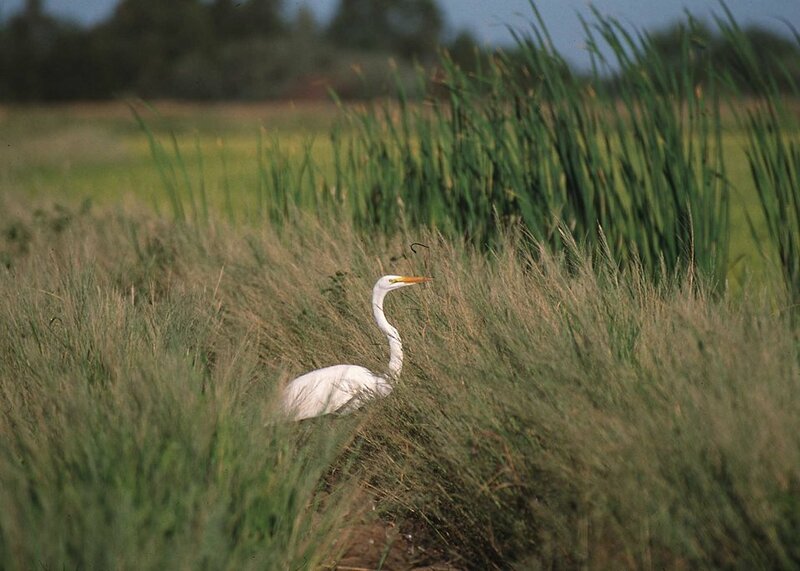 Public Domain Picture: Common egret in grassy area near rice field in Northern California. Common egret in grassy area near rice field in Northern California. Great Egret relaxing at Ferguson Lake. Egret in a pothole wetland.